It’s not a new topic but I thought “If all you have is a hammer then everything is a nail” deserved some investigation. It’s a saying that’s always true and is one that most people will agree with… even as they break it. What it really implies is bias and ego over all else. Essentially a closed mind. That’s not the best way to win friends and customers. Why bounce ideas off a friend if they’re not going to listen? Why talk to another business about solutions if they’re always going to come at it from the same way. If the answer to every question is the same, then why bother asking? I’ve started reading Youtility by Jay Baer and have watched a couple of webcasts he’s been on. The premise that you’re going to provide utility to someone without the expectation of something in return removes skepticism and actually leads to a better customer (Even the intro to the book is good. You can read it for free on Amazon). There’s little barrier to information these days. Most people don’t set out to go buy a product, they seek the answer to a question and to solve a need. That need might be in your sweet spot or it might not. They might see a news article, a social media post, an advertisement, a blog, or any number of sources of information which puts an idea in their head. Chances are good that it’s not going to be something self-serving though. 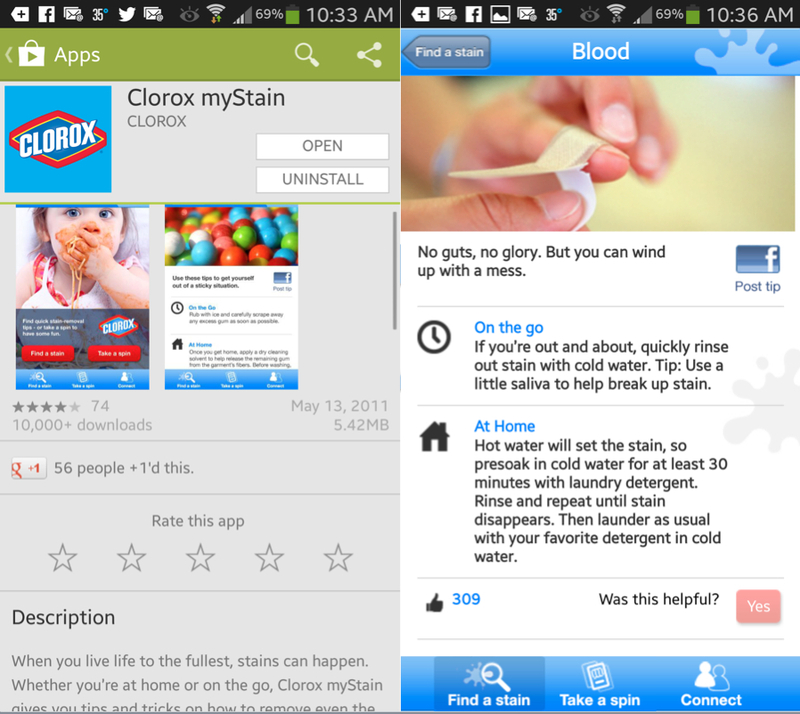 Jay’s example of Clorox’s myStain mobile app is apt. If the answer to every question you ask it is just “Buy more Clorox” then what’s the point? There is unbiased content in the app which is focused on the why of their existence: stain removal. Of course much of it is about how to use their product to get that stain out, but not all of it is. Neither water nor saliva are sold by Clorox. If you think about the businesses and people you associate yourself with, I’m betting you consider what’s in the relationship for you. There’s going to be times when you’ll buy a product strictly based on price. There’s others when – even if it’s a commodity – you’re drawn to a brand because they provide information about their product which is useful but not in-your-face advertising. It helps you understand your needs and what you must accomplish. There’s certainly times when you need to know more about the product as you get closer to making a decision. Chances are good that you will look for third-party validation such as online reviews or discussion groups as well. If the product or service doesn’t meet expectations then there’s going to be evidence of it – or a complete lack of information for something which is untested. This shows up time and again when I look at products on Amazon.com or browse professional groups on LinkedIn. If I have a nail, I tend to go shopping for a hammer to hit it with. I generally feel like I know my nail fairly well although my perspective changes as I learn more. What this means to tool vendors is that their relevance to me revolves around educating me and helping me solve me problem. In order to do that, they need to know both sides of the equation. Know your hammer and what it’s supposed to do. If you’re representing a product, you should certainly know what it does well. You should absolutely have confidence that it can do what it’s designed for and may even get better at doing more over time. But you should also keep a couple things in mind. First, the product should have been designed to meet a customer need. That need justifies the product’s existence and evolution. Without the need, there’s no reason to build the product. The match needs to be there and there’s no point trying to turn everything into the nail your hammer is supposed to hit. It damages your credibility instantly when you make claims which can’t be backed up or are blatantly self-serving. Second, focus on the customer and their need then wrap your offering around that in their terms. It requires listening and understanding. Remember, the person you’re talking to (in person or through messaging over another channel) as an issue they know about which is why the dialog started. They may have bigger problems but they need to realize it before you can expand their perspective. It doesn’t really matter if your product can solve more than they need fixed unless they have those other needs. If you start by listening to the problem, you’ll know if it’s something you should solve. If it’s not, be honest and help out if you can. People remember someone who’s genuinely looking out for them. There’s value in networking in this way and by building relationships, you show you can be counted on when it’s important. You need to know what your hammer does and what the nail is. Hammers can hit more than nails, but should they? Know what the nail is too. The second part of the hammer/nail equation is the nail. There are many ways to stick two things together. There are an endless supply of problems in the world and some even need solving. By you. Let’s look at these. 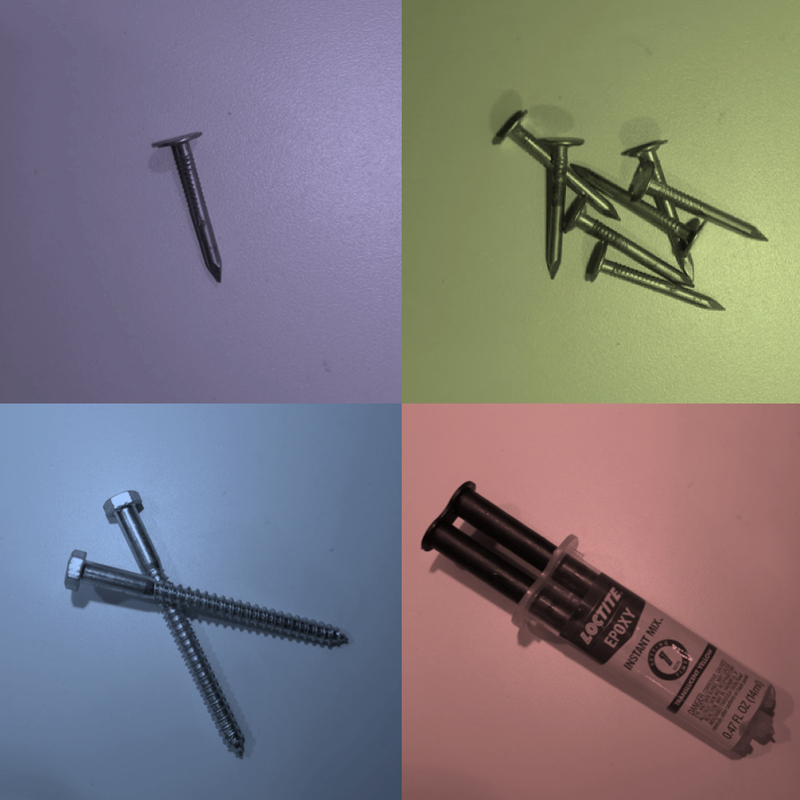 Top left is the nail and the thing your product is supposed to do. It had better smack that sucker well. If your hammer’s got a nicely weighted head and a handle which is comfortable and the right length plus is sold at the right price then go for it. If the problem is a larger scale then keep going for it. Until that problem is so big that it requires a commercial nail gun. Know when even a really nice hammer is not enough for the job at hand. Similarly, know that if your nail gun requires special training, safety equipment, a pneumatic system, and a bulk supply of nails then the average home carpenter isn’t going to look at it twice. Then there’s the bolts. Your hammer is just not supposed to drive them into a piece of wood. Telling people that it will or that they should really use nails is not going to resonate. You’ll not only lack appeal, they’re not going to pick up the phone when they have nails to drive. Lastly, there’s the epoxy. This is an entirely new way of going about things. 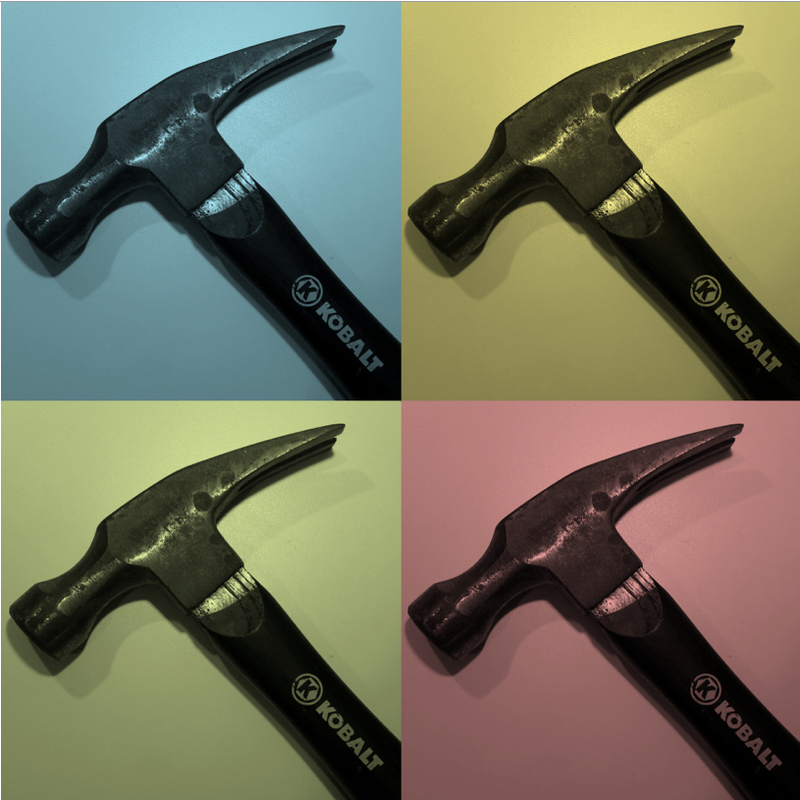 Your hammer doesn’t work here and may not be any good at solving those kinds of problems. This isn’t a nail and screw question. You may be in the wrong market entirely or the nature of business may have entirely changed. If you’re built to hammer a few nails then the world went nail gun with automation then started gluing complex surfaces then you’re screwed (sorry, it was irresistible). Just what are you going to hit with that hammer? In short, always be assessing the job at hand and understanding how to get it solved. Sell with your customer to solve the problem, not to them to solve yours. Understand the shifts in their problems to know if you are continuing to address needs. Helping them understand this shows respect as well as your understanding of what you do. Providing bias-free and relevant information shows you’re interested in helping and that gets your foot in the door.